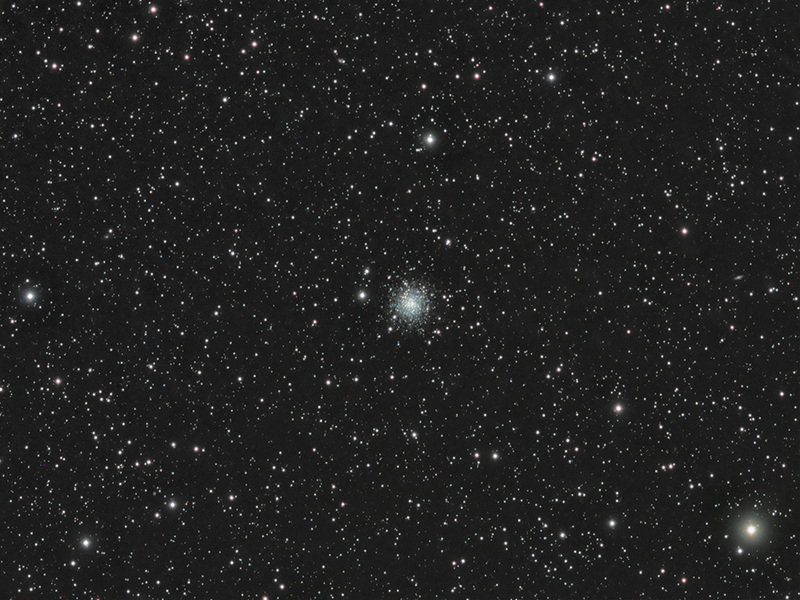 Frames: Eleven 300 second exposures for each of RGB and Eleven 600 second exposures in luminance. Text from APOD: Beneath the south pole of our Milky Way Galaxy lies a ball of over 100,000 stars. 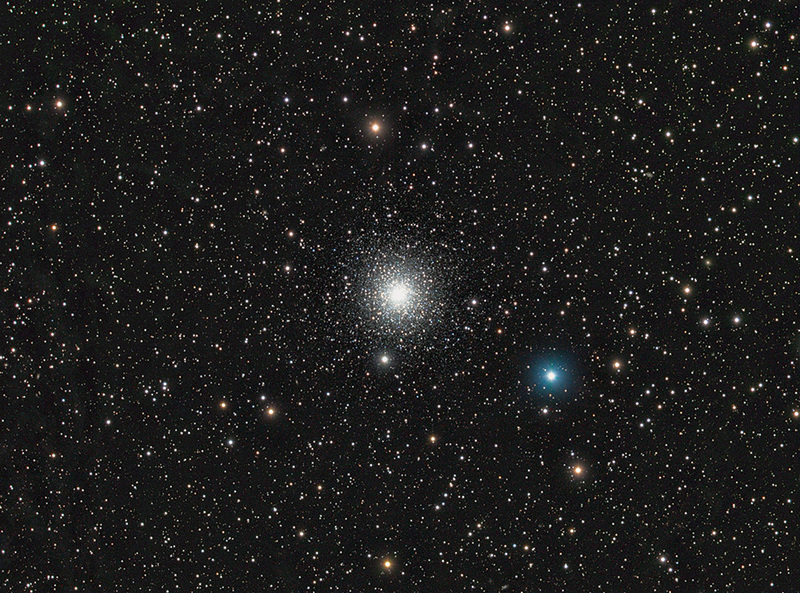 M2, the second object on Charles Messier's eighteenth century list of bright diffuse sky objects, is known as a globular cluster, and orbits the center of our Galaxy like nearly 200 other globular clusters left over from the early days of our universe. M2, pictured above, spans over 150 light-years, lies about 50,000 light-years away, and can be seen with binoculars towards the constellation of Aquarius. 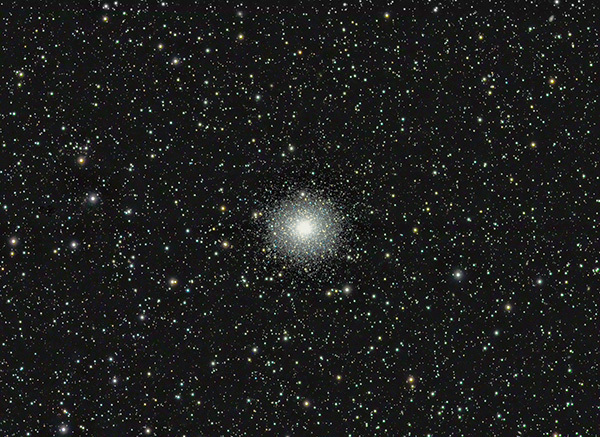 Determining the distances and ages to globular clusters like M2 constrains the scale and age of our entire universe.